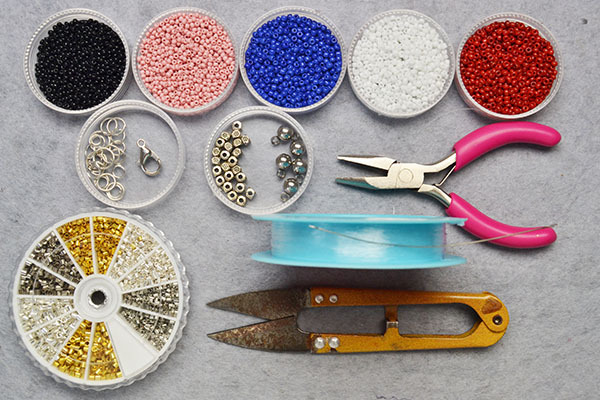 Summary: Are you searching for handmade charm bracelets? 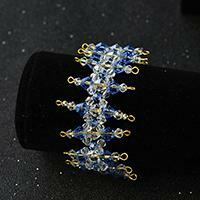 Look here, next I will share a 3-strand bracelet with charms to you all. Hope you will like it. 3rd, cross the wire through a crimp bead and a jump ring, then cross it back through the crimp bead and pinch it to flat to fix the wire. 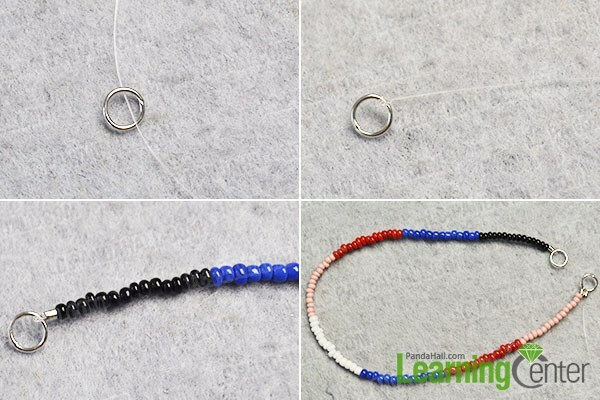 2nd, add about 5 round pendants to the seed bead strand through jump rings as pictured. 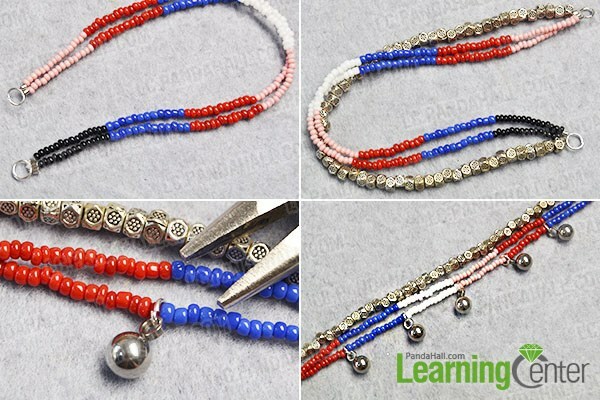 Add a lobster clasp to one end of the simple seed bead bracelet while add a jump ring to the other end, and then connect them together. 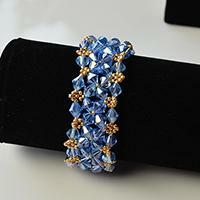 I make this simple seed bead bracelet within 15 minutes, now it is my final work, do you like it? 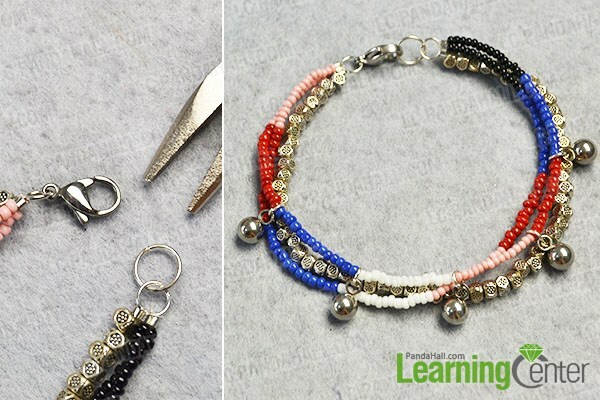 If you are interested in making handmade Charm bracelets as well, why not try this one?